On October 30th, Tablo finally made his long-awaited comeback through SBS‘s ‘Inkigayo‘ with the support of labelmate Taeyang. 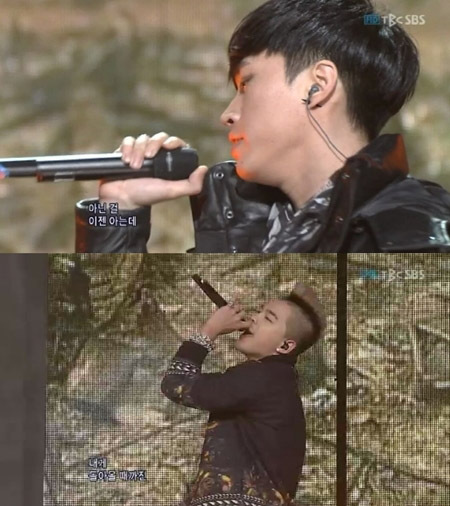 For his first performance in almost a year and six months, Tablo performed his title track, “Bad“, as well as “Tomorrow“. This entry was posted in K-POP, MUSIC and tagged Tablo and Tae-Yang, Tablo's comeback perfromance on Inkigayo, Tablo's comeback stage, Tablo's comeback stage performance with Tae-yang. Bookmark the permalink.